Someone found your music - you've been shazammed! Multiply this lovely feeling with a professional & reliable Shazam promotion service. New shazams = reputation boost. With this entry-level pack you get 1000 worldwide Shazams, i.e. from users all over the world. Geo-targeted shazams are also available as separate services. The shazams apply to one track. 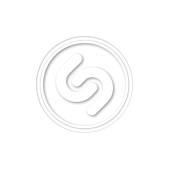 Our Shazam promo, be it followers, shazams worldwide or location-based, are absolutely safe and use reliable user profiles. Connect with your fans with more confidence than ever! No password required. Note: a 100k weekly shazam limit applies.